The development of mobile phones has resulted in the revolutionary changes in all the aspects of our lives. And these changes are undeniable. Actually, smartphones managed to become an irreplaceable part of our everyday lives mainly due to the availability of useful mobile apps. There are a huge number of different apps which touch all spheres of our everyday activities. And weight loss is not an exception. Weight loss apps are designed to simplify your creditable attempts to strike the right body weight balance and carry out a healthy lifestyle. 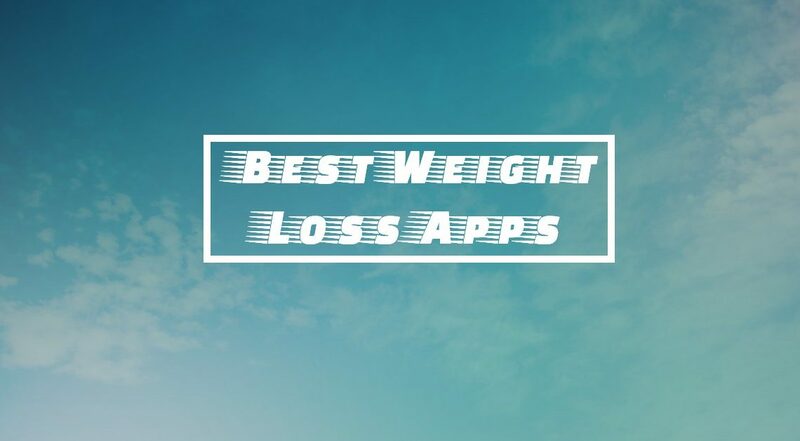 But since you can deal with countless apps and have no idea which ones of them are really helpful, we decided to ease your task of distinguishing the best-working weight loss apps. So, here we would like to introduce the most advanced apps which are sure to promote your body weight reduction. It is a superior app that appraises different foods by taking into account food peculiarities and qualities on the grounds of which nutritional value and benefits are determined. This app is free of charge. The app employs a convenient grading system by assigning an appropriate grade to certain food. There are 10 grades varying from A to D. Thus, the grades such as A+, A, A-, B+, B, B-, and others can be selected. The grade which the food item may get depends on its ingredient content, naturalness, healthfulness, and degree of processing. The app relies on the data which publicity has at own disposal when assessing different foods. To apply Fooducate, it’s necessary to scan a barcode placed on the food item. This is enough to get to know the major details on the particular food. If a low grade is assigned to the food you initially wanted to choose, the app will offer you the alternative list of foods in order you could find a worthy and healthy substitute. But of course, you shouldn’t also forget to check the food ingredient information by yourself. This is an exquisite audio fitness app which features a high convenience level. It’s a great tool for everyone who wishes to lose weight by doing exercises in a private atmosphere where and whenever he or she needs this. So, by purchasing this app, you will have an access to an intense workout through your smartphone on demand. And computer or TV is no longer required. The app gives you an opportunity to take advantage of more than 2,500 top-quality workouts. One of the main goals of this app is the encouragement of your desire and motivation to perform the weight-loss exercises on a regular basis. You will be instructed only by the best, internationally renowned trainers. Also, the app provides you with a wide range of healthy recipes aimed to change your eating habits. In addition, the workout plans are developed for all ages, objectives, and fitness levels. When using the app, you will have a chance to communicate with the members of a supportive community group that is always ready to lend you a helping hand if you despair of success. You can pay for the app $14.99 per month or order a yearly subscription for just $99.99. If you are searching for the app able to offer you weight loss and nutrition assistance, this food diary is a stunning pick for you. It effectively combines the functions of a calorie counter and exercise tracker to give you a chance to ensure the most satisfactory weight loss results as soon as possible. More than 9 million users have already evaluated the benefits provided by this app which proved to show a high efficacy rate. Thus, on the average, the app users decrease their body weight by 1.4 lbs per week. Also, the regular use of the app for 7 months enables the users to get rid of approximately 27 lbs or more than 12% of body weight. The work of this app involves the application of the most advanced science-based weight reduction strategies. The app not only counts your calories and tracks your workouts, but also develops a well thought-out nutrition program. The matter is that meal planning is very crucial when you try to shed excessive weight. The online app forum also relies on the services of a nutrition specialist who will gladly clarify all weight loss aspects and provide all necessary feedback. This is a top-notch yoga app that is suitable for both novices and highly experienced yoga followers. If you choose this app, more than 50 workout plans, more than 500 asanas, meditation, pilates classes, more than 10 coaches workshops, and 200 instructed yoga sessions will become accessible to you. The app was invented to help you practice yoga on a daily basis, as well as give you a possibility to enjoy both body and mind benefits which yoga ensures. This app not only assists you in your desire to get a slim, well-toned body. It also recharges your body and its capabilities. The app is an excellent relaxation instrument, overall health enhancer, and wellness booster. You shouldn’t pay for downloading the app. However, to use many of available additional options, you will have to subscribe and make in-app purchases. The developers supply new, innovative contents to the app on a monthly basis. If your target is to keep abreast of everything you eat every day, this app is a perfect choice for you. The app allows you to stay informed about how many calories you consume, as well as how effectively you work out. The function of scanning barcodes for the packaged food items you prefer is also included to this unmatched app. In addition, the app delivers the pictures of the most widespread exercises in order you could have an opportunity to check whether you perform them correctly. The other incorporated function implies awarding points for all weight loss achievements to boost your motivation. The app is irreplaceable for everyone who wants to find the happy medium between the calorie intake and calorie expenditure in order to comply with all your weight loss expectations. When used every day, this app really can become your personal lifestyle coach.